Facilities Management involves taking care of everything from the cleaning of a facility to maintaining very expensive and complicated heating and cooling, HVAC systems. This is usually no easy task. And today we are seeing the cost of facility maintenance increase at times when the economy is tanking and facilities managers are having to lay off more and more staff. This leads to poor facilities management and can cost a company thousands of dollars if not hundreds of thousands of dollars in the long run. It can also lead to potential for danger to the employees of the company, customers, patients, clients and a contracted outside facilities management company as well. There is always a cycle of companies moving away from doing all facilities management in-house while other companies are moving toward having all facilities management work performed in-house. In many cases the best approach is somewhere in the middle of these two extremes. Many companies small and large, find that by having some facility managers in-house for emergency repairs they can solve many problems before they become to big and costly. This also allows for companies to save money by making routine checklists for the facility management staff which determines what equipment and structures will be regularly checked for potential wear and tear and damage. By catching these problems early, a company can many times save time and money in the long run. Such routine facility management projects such as painting, cleaning, and checking for potential dangers and damage can be simplified with these type of procedures. In most cases in-house facility managers cannot be expected to complete all the maintenance and cleaning projects that a facility will need. Even though this is true, many companies may have very high expectations for the facility management staff. This may result in good initial facility maintenance but over time the quality of the work as well as the accuracy of any reports or checklists may diminish. Many companies know that it is best to contract out as much of the facilities management as possible within a reasonable budget. This leaves the in-house facility management staff time to maintain and sometimes clean a certain amount of essential and reasonably achievable aspects of the facility. No matter which approach a company takes regarding facility management, some projects must be contracted out to other companies. These projects include fire protection installation and maintenance. fire sprinklers, fire alarms, fire extinguishers, FM-200, kitchen hood and duct cleaning and other types of fire protection that must be performed by a qualified outside professional fire protection company on schedule according to the respective fire code. 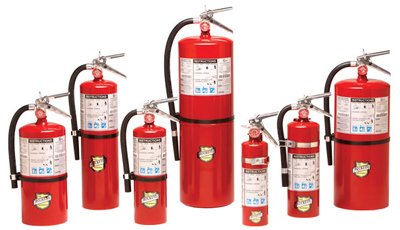 For more information regarding how FESCO Fire Extinguisher & Safety Service Company, LLC can assist you in your fire protection needs contact us a (347) 912-0836.